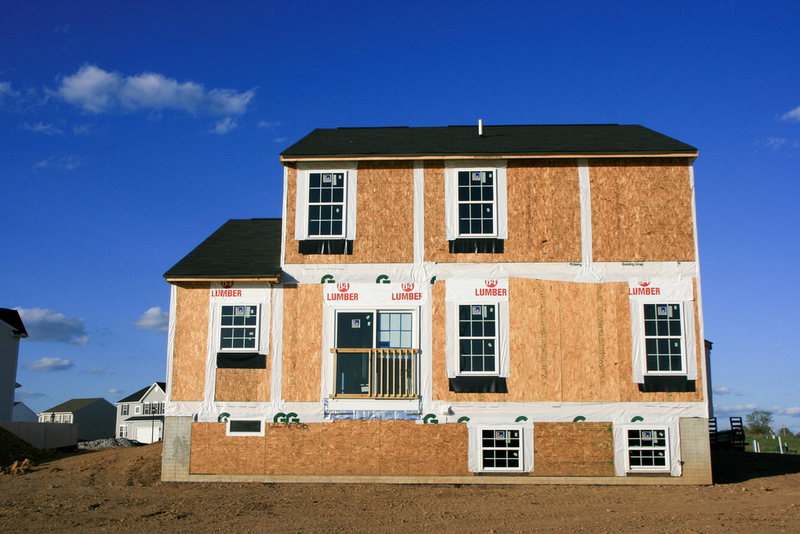 According to the Canada Mortgage and Housing Corporation (CMHC), residential building got another boost in May after a particularly strong April. The standalone monthly seasonally adjust annual rate (SAAR) for May was 198,324 units last month, a nearly one per cent boost from the 196,687 units recorded in April. Across major cities, the SAAR of urban starts increased to 180,813 units, up from 178,485 the month before. 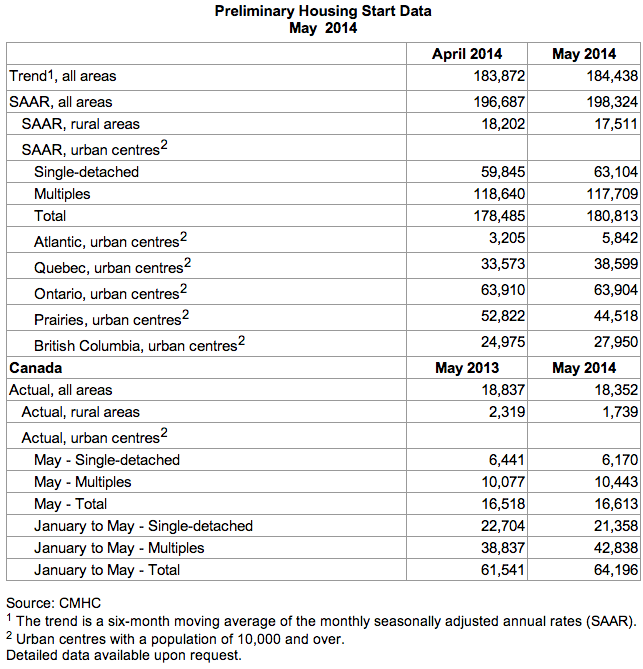 As far as different regions of the country are concerned, Atlantic Canada, Quebec, and British Columbia all recorded gains in their SAAR of urban starts month-to-month. Ontario’s starts were virtually unchanged and the Prairies were the only part of the country to see starts dip: they fell from 52,822 in April to 44,518 in May. Remember how Statistics Canada just reported that the value for building permits for multiples had been lagging while permits for single-family homes amped up? The numbers from the CMHC tell a similar story. In May, multiple urban starts decreased to 117,709 units while the single-detached urban starts segment increased to 63,104 units, up from 59,845 in April. Altogether, housing starts across the country were trending at 184,438 units in May compared to 183,872 in April (the trend is a six-month moving average of the monthly seasonally adjusted annual rates of housing starts).